Kitchen gadgets should make meal prep and clean up easier. These 11 products from Amazon do just that, and they're all under $20. Whether you're a gourmet chef or a home cook just trying not to burn dinner, preparing a meal and cleaning up after is a lot of work. And while there are plenty of cool kitchen gadgets on the market today that promise to make your life easier, many of them are pretty pricey. The following 11 items are all available on Amazon for under $20. So, before you hire a full-time sous chef (whose yearly salary is, on average, $41,000), consider giving one or two of these a try. 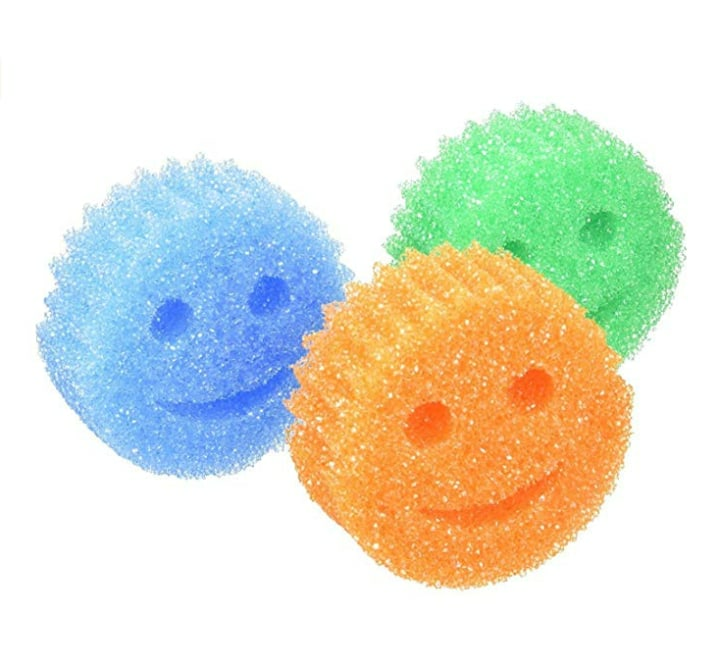 When you think about a product that is going to make your life better, odds are you're not thinking about a smiley face sponge. Turns out Scrub Daddy can be that revolutionary product. Since appearing on Shark Tank in 2012, Scrub Daddy has gone on to become the show's most successful product ever. Why? Because it actually works. Adding avocado to just about anything makes it better. 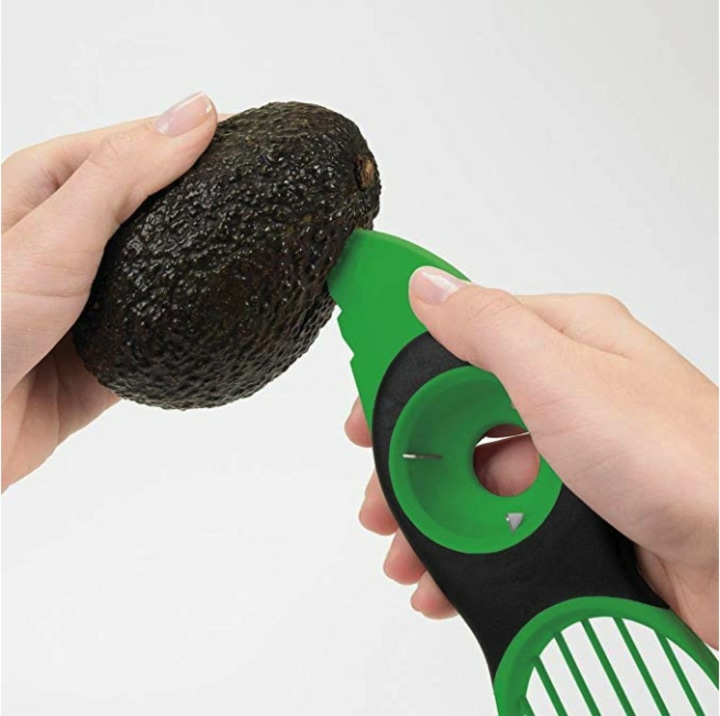 The OXO Good Grip 3-in-1 Avocado Tool helps you to get to that beautiful, green goodness sooner with its all-in-one slicing, pitting and scooping ability. If you're in the market for tongs that not only help prevent messes but add a bit of whimsy to your kitchen, look no further than the Kotobuku Swing Serving Tongs. These tongs stand upright to avoid making a mess on surfaces and have a weighted handle, which allows them to slightly teeter totter without falling down. Who says tongs can't be fun? 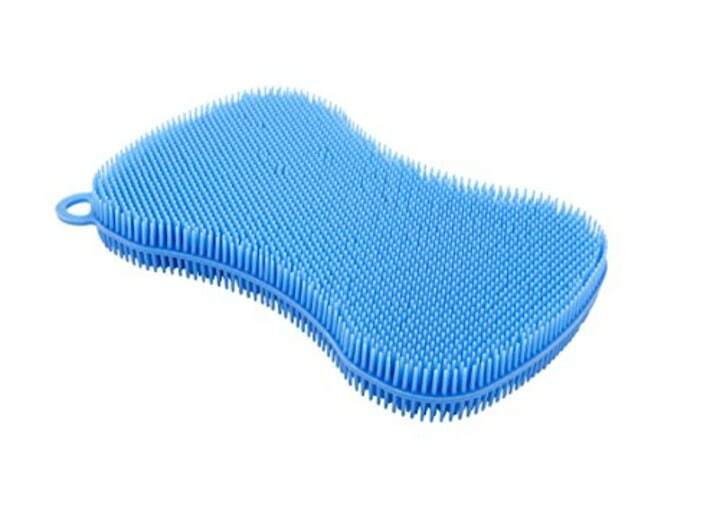 A silicone sponge, like the Kuhn Rikon Stay Clean Silicone Scrubber, is one of those things that once you realize it exists you'll kick yourself for not switching over sooner. Easier to clean than a normal sponge, this silicone version is non-porous so it won't hold on to bacteria or start to smell. And it's dishwasher safe. Nothing takes a recipe up a notch like fresh garlic, but the process of mincing is not only time consuming, but can be pretty smelly as well. 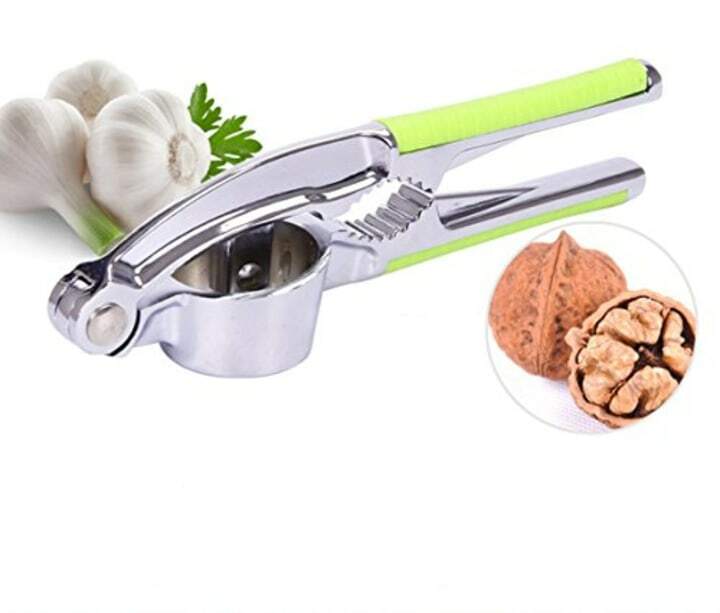 With the DXTXKJ Garlic tool press, chop, and mince garlic to your heart's content with just a quick twist of the wrist. For those of us whose hands start to smell like garlic with the mere mention of the word (raises garlicky smelling hand) the Amco Rub-A-Way Bar can help. 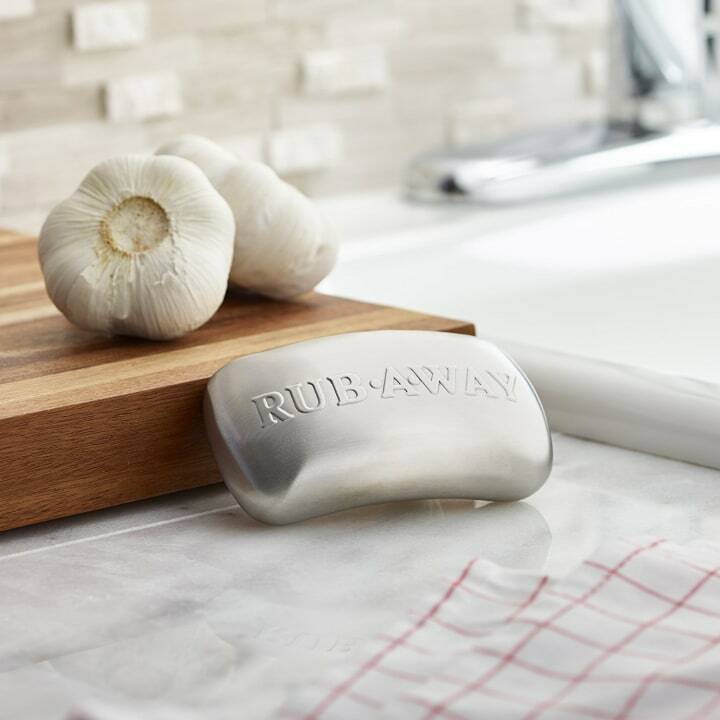 The stainless steel, soap-shaped bar promises to remove the odor of garlic, onions, fish, or any number of delicious but smelly items from your hands. 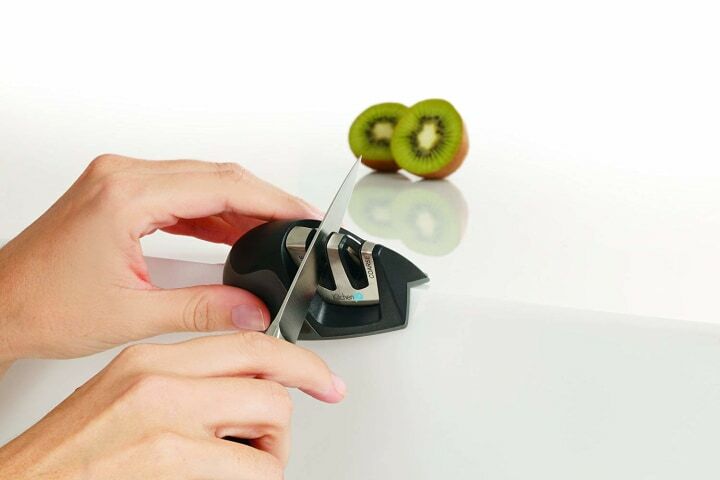 A good kitchen gadget not only has to be effective, but it should help you reduce cooking time and cleanup. 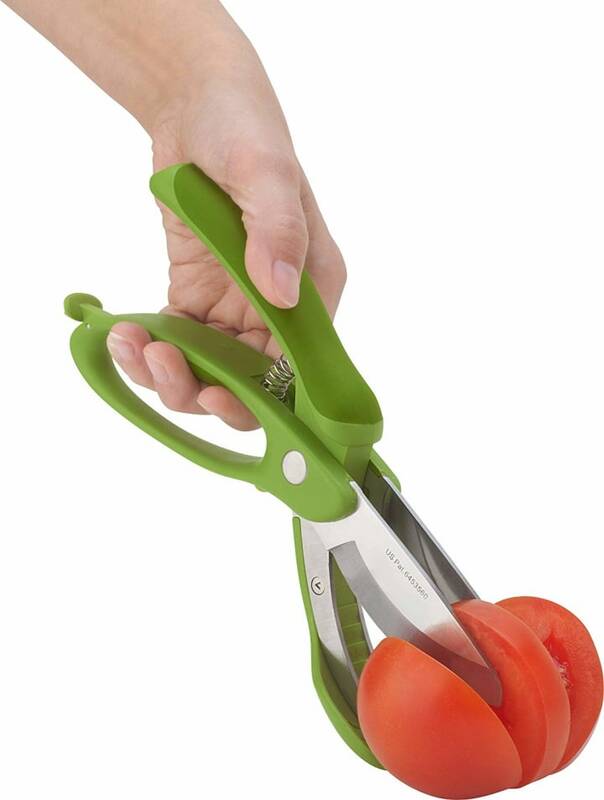 With its ability to slice and chop fruit and vegetables directly into the bowl, the Trudeau Toss and Chop Salad Tongs is definitely a good kitchen gadget. Baking is a great way to show your love for someone...that is until you have to clean up. What was once a labor of love becomes simply a little bit of labor. 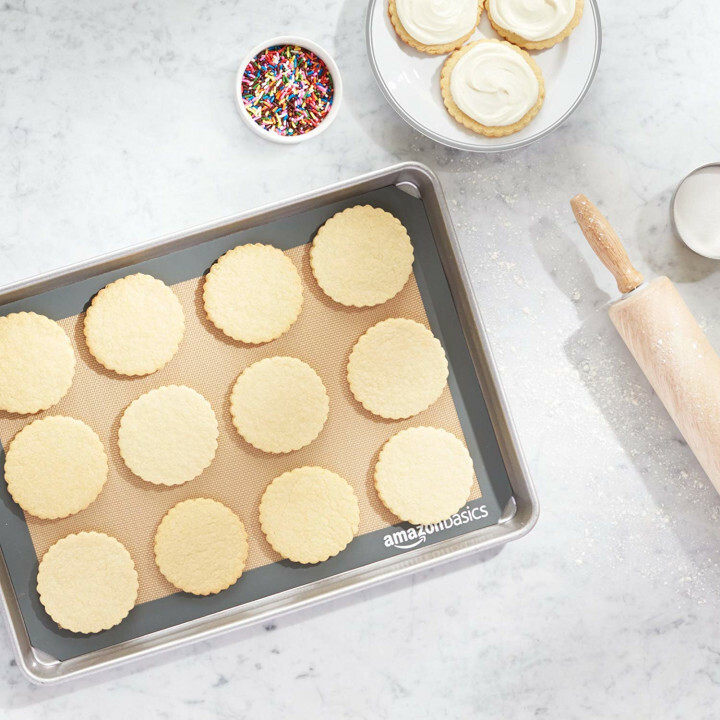 With AmazonBasics Silicone Baking Mats, clean up is a snap and removes the need for oil or cooking spray. 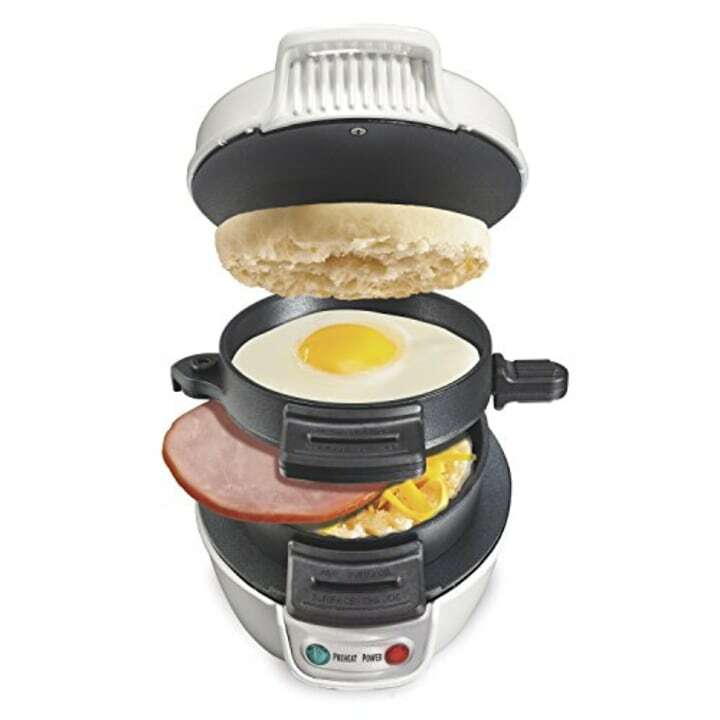 Do you need the Proctor Silex Breakfast Sandwich Maker? Probably not. But, do you want a handy gadget that can whip up a delicious breakfast sandwich in just five minutes? Definitely. Nothing slows down meal prep quite like a dull knife. With the KitchenIQ Edge Grip 2 Stage Knife Sharpener you can sharpen and polish your knives back to their original glory. Anyone who's dealt with dry, cracked hands after spending some time elbow deep in the sink knows dishwashing hands are a real thing. Thankfully, like with so many skin care issues, Korea has the solution. 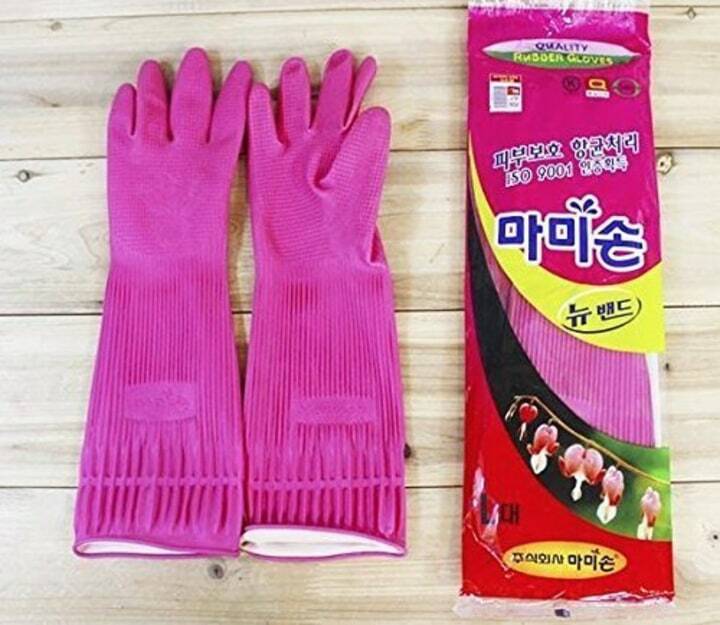 Mamison Quailty Kitchen Gloves (which translates to "Mommy hands") are sturdy, long lasting, and grippy. So give mommy's hands a break.